I was first introduced to the Jo Nesbø Harry Hole novels when a dear friend sent me a copy of the first one, The Bat, although it was not the first to be translated from the Norwegian. I managed to read them in chronological order — there is a thin thread of character change — and reached the last ever volume just before a new one came out (and there’s been one since). I was struck how much of a Norwegian version of Tartan Noir it was — like Rebus, Hole has his demons, has turned to drink and fags and is not liked by his department, nor can he hold down a relationship. His partners have a distressing habit of meeting nasty ends. But he gets results, and his cases get increasingly political. The Snowman is the seventh of eleven novels to date, featuring a serial killer who has resumed their killing spree. In the film, Hole has just split from his art dealer girlfriend, Rakel, although he still has a good relationship with her son, Oleg, despite standing him up because he has fallen down drunk. He is drawn into the case by a brilliant young detective from Bergen, Katrine Bratt, who has a rather more personal interest in the case than is strictly professional. A series of women have gone missing, each of them linked to clinics, and their headless bodies are found, usually near a snowman. Ok, so as all too often, this is a film where violence against women is all too often the source of drama, but I think this is handled more sensitively than usual. The weapon is fetishised, but the murderer is not presented as attractive. It has to be noted that a number of men also face graphic ends (although the aftermath is shown, rather than the murders). Hole does not emerge unscathed. I suspect a lot of the surrounding story is changed in detail, so that characters may not end up quite as expected, but that is not a major problem. Some of the complications of the original story are not quite smoothed out — a subplot about Hole’s flat being fumigated has one twist that we are left to infer and another (if I recall correctly) has no pay off. A coincidence of music playing in two scenes is not made anything of. The climax feels very rushed and mishandled after a nice build, and segues into the space for a sequel, although the midway adaptation leaves open the question of whether they would go back or forward, and I suspect would depend on which of them are rescuable from development he’ll. Rather oddly, no one in the film pronounces Harry’s surname correctly (it doesn’t rhyme with bowl) and the mixture of British (Anne Reid, Toby Jones, Charlotte Gainsbourg) and American (J.K. Simmons, Chloe Sevigny) character actors not quite uniting in accents makes for some moments that jar on the ear. 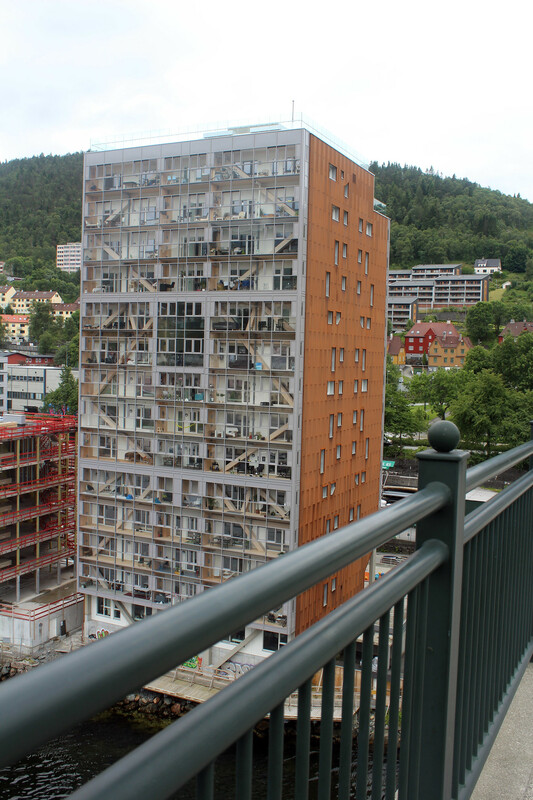 We have a slightly complicated time structure, with a prologue some twenty or thirty years earlier, the apparent present day investigation in Oslo, a year or so earlier investigation in Bergen (even though surely that is the new Tree building visible by that bridge). To be honest, I thought that Thelma Schoonmaker — Scorsese’s editor of choice, indeed he had been down to direct and merely produces — would have made more of this, but she with the cinematographer seems to like recurring shots of characters looking through windows or being seen through them, with attendant reflections suggesting doubles. Attention might also be drawn to the recording devices that some of the detectives are issued with, souped up iPads that are nevertheless much clunkier; whilst this gains Hole a few leads, it seems a literally clunky device. On the one hand, it shows Hole as a relic, on the other he gets results. Alfredson is great at a beautiful drab palette, as seen in the tighter Let the Right One In and the frankly glacial Tinker Tailor Soldier Spy (that left me wondering how it was stretched to the longer BBC series). The white of the snow offers many striking visuals, as does the occasional moment of ostentatious decor. Fassbender is convincing as Hole, stolid and yet vulnerable, likeable whilst self destructive, and I’d rather he’d stay with this character than the Alien prequel nonsense. He is rather good at crawling around in cellars and in tight places, although sometimes I wonder if a chain smoking alcoholic would be so fit. But he does hold the film together. Kilmer, meanwhile, hasn’t aged well and his head — I realise this is rude to say — seems barely held together. A face lift too far, perhaps, with no cheeks to hold his jaw to the rest of his head. He is Harry without redemption, who wasn’t able to solve the clues. But all these quibbles aside, this was an enjoyable couple of hours, and whilst there are many striking wide shots (Kilmer has at least one of them), it would sit well as a BBC4 two-parter. There are thrills and a few dark laughs, and I’d be happy to see sequels.